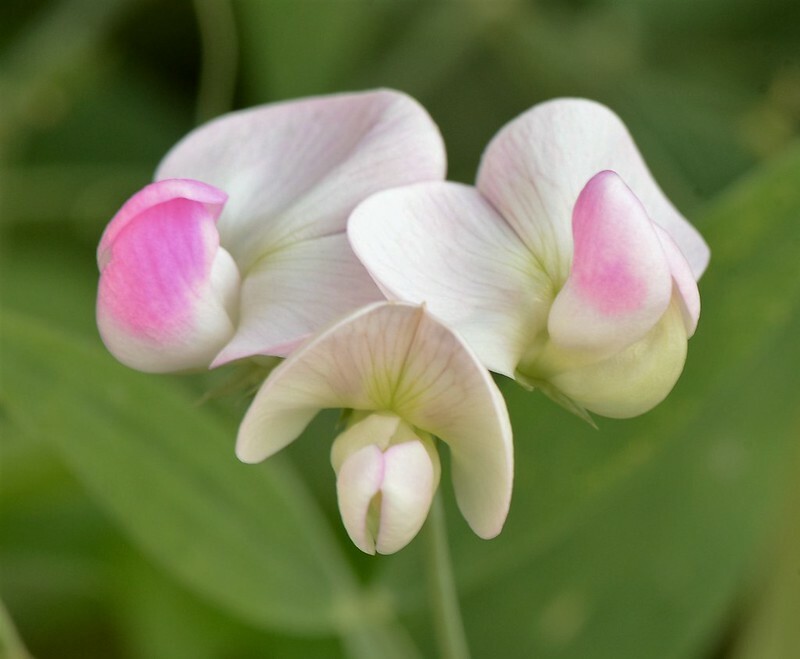 Why did I buy a packet of everlasting Sweet Pea seeds? Quite easy. I had a hedge and wanted to have some colour in my hedge. I planted the seeds and they grew and I had my colourful flowers in the hedge. They climbed up and took over hanging on to every leaf and stalk with their tendrils. Sweet pea is quite clever and moves around until it can grab onto the next object. I just let them do their thing, which was perhaps not exactly a good thing. 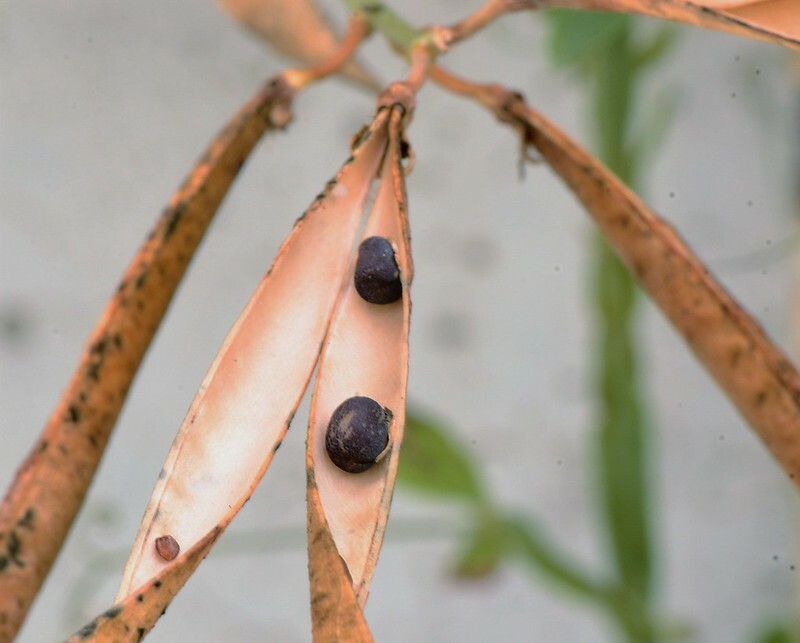 Were these the seeds that Jack planted when his beanstalk began to grow? Pods? Of course they made pods. 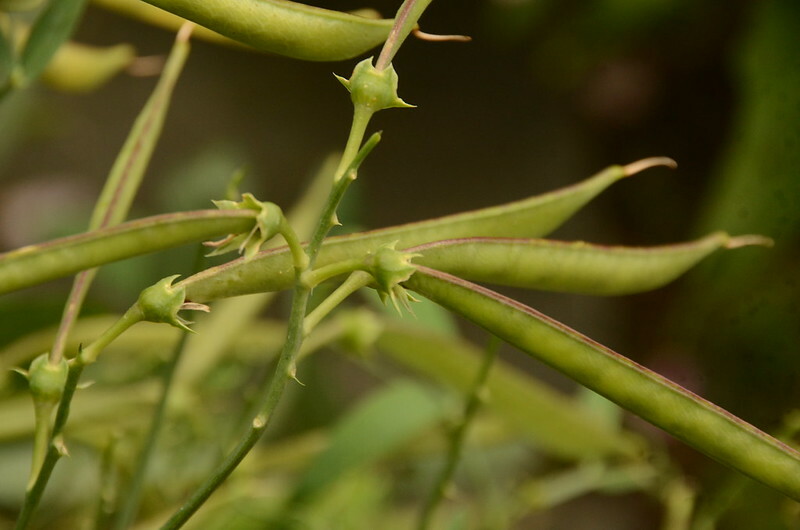 As soon as the flowers disappeared the pods arrived with the next generation of seeds. And the pods arrived after the flowers and they had seeds so we were sure to have more sweet pea plants, although the plants we had always returned every year. It seems that the pods opened and the seeds were catapulted in the neighbourhood. They went forth and multiplied. I did not really mind, they are nice plants and colourful flowers. We have a wild meadow next to our garden, which also now has sweet peas growing everywhere. Opposite our garden there is also a patch left to itself with a few wild flowers. 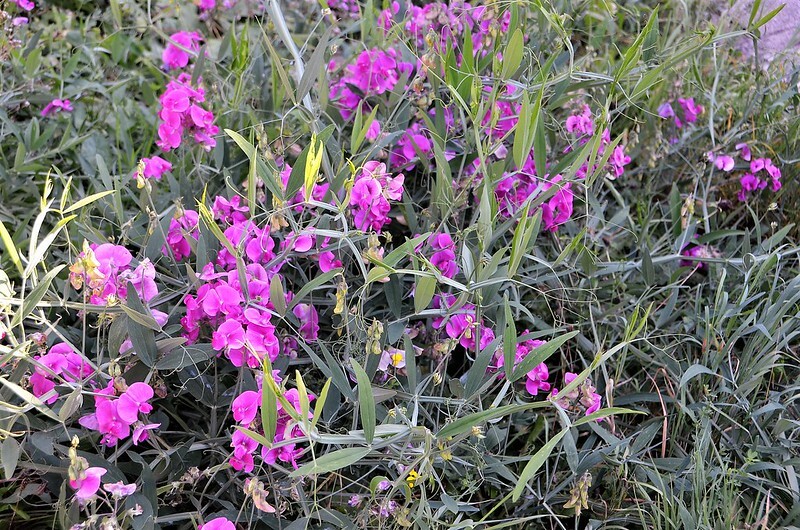 No, the wild flowers had to move over and yes, it has been taken over by someone who decided to add a bit of colour to a hedge by planting sweet pea seeds. 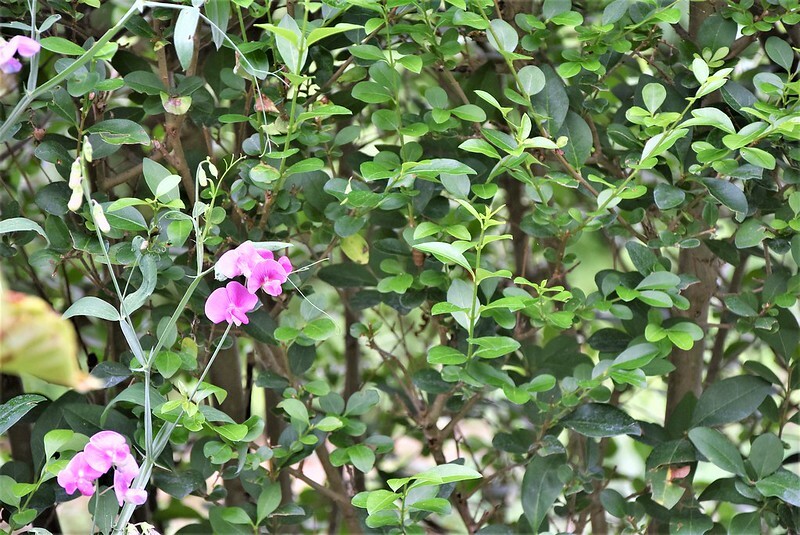 Our estate gardener removes the sweet pea plants during the summer, which gives them more space to grow back again. They even change their colour now and again and we have a few white ones. They are so versatile. These guys LOVE to grow. As cold as it gets here, there are still some clinging to green life close to the ground. I have them on a frame on an east facing wall so they get morning sun and reflected heat. I noticed that here as well, one of the first to arrive and definitely the last to go. They sprout up everywhere. I’d never thought of planting them in a hedge although as mine is photinia and the new leaves are red it’s colourful enough. If I had a box hedge I’d definitely do that. They do have a lovely fragrance and come in such pretty colours. I planted the seeds at the foot of the hedge and they grow into the hedge, but have to be cut back now and again. Oh my! There are SO many unpleasant things I could say about this technique. . . . except that I have done the same. Let’s just not tell anyone.